HEA awards include Sustainable Tour Operator of the Year; Sustainable Tour Guide of the Year; Volunteer of the Year. 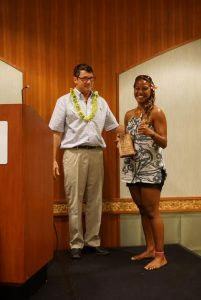 Award recipients are honored at our Annual Awards Luncheon held every November in Waikiki. 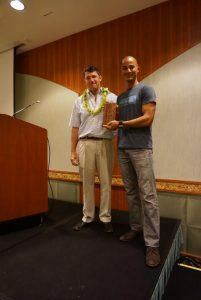 Recognizing the best of Sustainable Tourism in Hawaii. 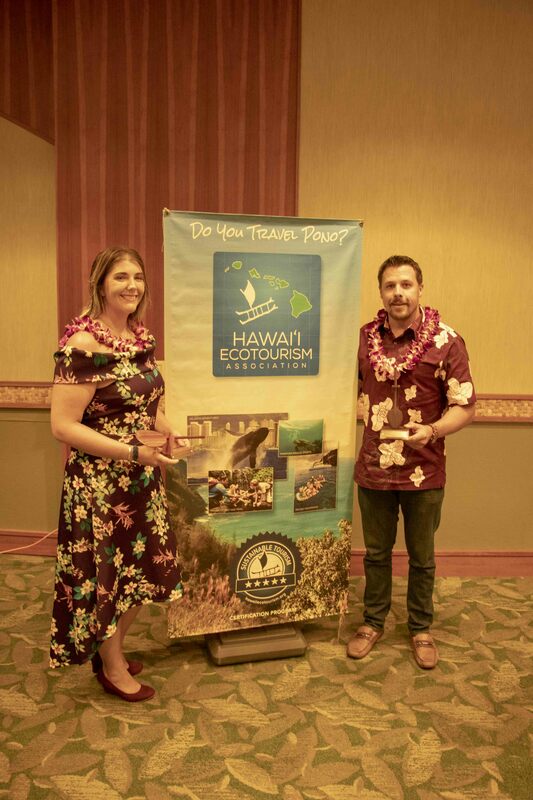 Congratulations Hawaiian Paddle Sports - 2018 Sustainable Tour Operator of the Year Hawaiian Paddle Sports, based on the island of Maui, is a leader in sustainable tourism. In addition, we would like to congratulate our Sustainable Tour Guides of the Year, Volunteer of the Year (Dr. Linda Cox), and all of our Certified Sustainable Tour Operators. Check back for information about the 2019 Awards Luncheon. 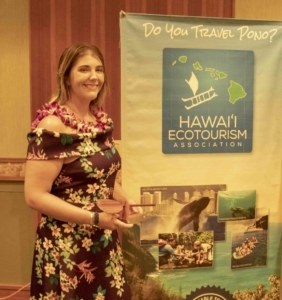 This award aims to recognize Hawaii ecotourism operations who demonstrate, through their business, a commitment to environmental stewardship, cultural sensitivity, community enhancement, and educational content. These operations provide excellent examples of how the principles of sustainable tourism can be put into practice here in Hawaii. Click here for details on how operations are selected for Tour Operator of the Year. 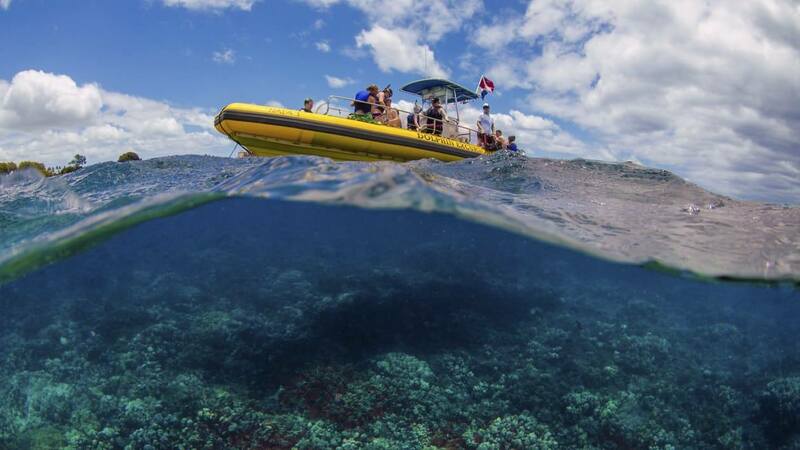 Trilogy Excursions is Maui’s oldest sailing catamaran tour company and has been setting the standard for sustainable tourism practices since its inception in 1973. 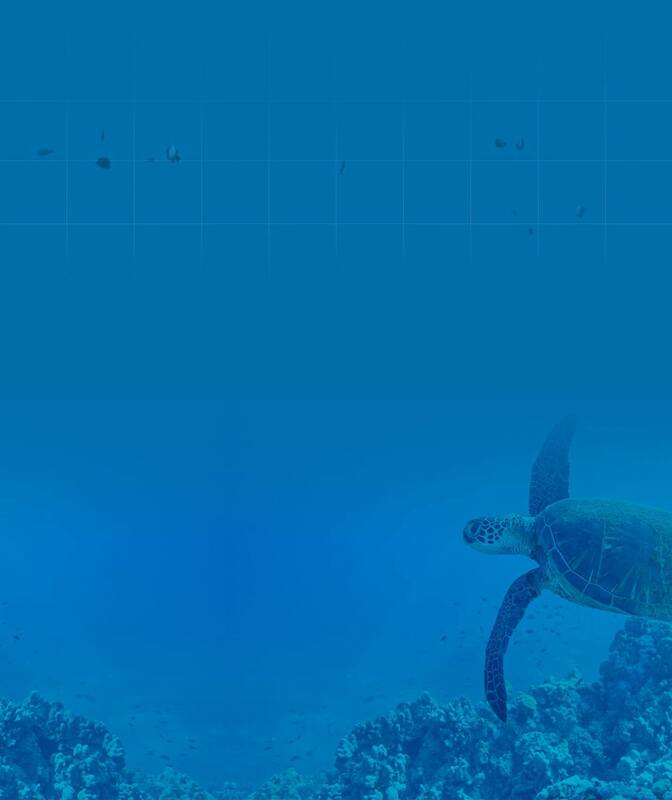 From being the first boat company to not dump bathroom waste in the water and instead pump out on land, to establishing the day-use mooring systems, instead of dropping anchors that destroy vulnerable coral reefs, the owners have had the wisdom and vision to incorporate sustainability into Trilogy tours and inspire personal conviction to be stewards of the environment. For over 20 years, Valley Isle Excursions has offered environmentally, culturally and socially responsible guided road tours on the island of Maui. From the beginning, VIE has focused on highly efficient vehicles, driving practices, and maintenance. Sustainable practices include an oil bottle draining system, re-engineered ice and water machines, motion activated lighting, and reflective floors to keep energy usage low. Their local guides share stories and history of the Hawaiian culture and perpetuating the concepts of malama ‘aina. One of only 1000 “Accredited Benefit Corporations” in the world, Hawaiian Legacy Tours has planted more than a quarter million endemic koa, sandalwood and other species on the slopes of Mauna Kea in last 5 years. They scored in the top 10% of all B Corps for their environmental impact, and partnered with more than 60 for-profit and non-profit companies to help plant hundreds of acres of endemic trees and raise funds for more than 350 charities worldwide. 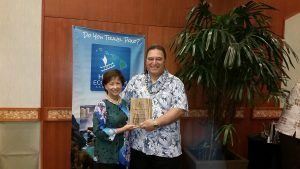 With this award, HEA honors the tour guides of Hawaii who best embody the core assets of quality ecotourism: effective interpretation, conservation of natural resources and authentic cultural experiences. 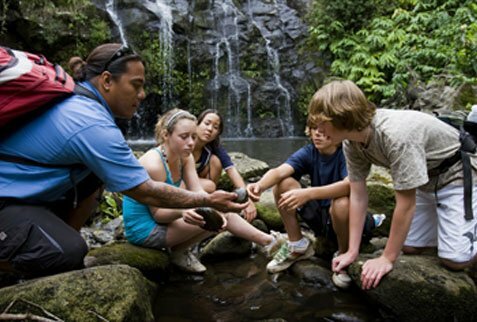 Tour guides are an important part of interpreting the history, cultural, and natural resources of Hawai’i. Certified Sustainable Tour Operators can nominate a guide for the Ecotour Guide of the Year. The nomination letter should address the following criterion: credentials; interpretation, communication, and impact; conservation efforts; promotion and implementation of authentic cultural experiences; understanding and implementation of traditional Hawaiian hospitality; and promotion of sustainable tourism in Hawaii. Lila Jones grew up being fascinated with the ocean. This love inspired her to pursue a degree in Marine Biology. Eight years ago, she moved to Hawaii to earn her Bachelor’s in Science from Hawaii Pacific University. During college, she sailed over 3,000 nautical miles studying carbonate chemistry in the Caribbean. Upon graduation she worked as a NOAA fisheries observer on the Bering Sea. She once again returned to Hawaii with the intention of connecting people to the Hawaiian reefs as mermaids. 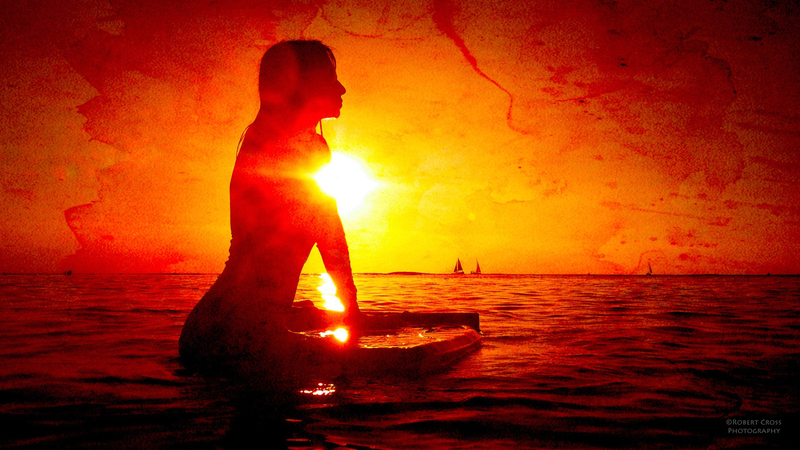 She is the lead mermaid of Hawaii Mermaid Adventures, a sister company of Hawaiian Paddle Sports, and focuses on sharing her love of the ocean through mermaid adventures. 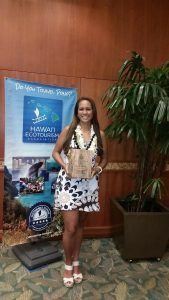 She always makes it a point to participate in beach cleanups, local fundraisers, giving back to the Maui community. In the last year Lila has also traveled the nation speaking on the importance of conservation, how art can fuel conservation movements, and ethical wildlife interactions. Her goal is to plant the seeds and nurture lifelong stewardship to the environment by connecting people to the magic of the ocean. Garry Dean has led interpretive nature tours at Hawaii Forest & Trail for the last 17 years. As HFT’s senior full-time guide he serves as a coach and mentor to other guides and plays an integral role in the company’s pursuit of excellence in guest experience. Garry is also an accomplished birding guide and a key contributor to the company’s sustainability mission. He wholeheartedly supporting and providing iterative advice on everything from the company’s reusable water bottle program to ensuring that tours adhere to proper Rapid-Ohia-Death protocols. In addition, he volunteers each year for native forest bird counts, which gathers essential data for Hawaii’s forest bird conservation. He volunteers his time in support of HFT’s free school field trips, and in support of community and conservation organizations including tree plantings. Garry continues to invest in his craft by attending interpretive training programs, workshops, and cultural programs. 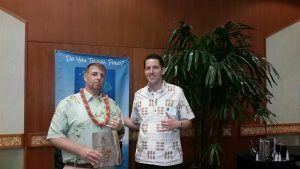 He also attended the IUCN World Conservation Congress in 2016 on O’ahu. Mana has been a part of the Kipu Ranch Adventures ʻohana since 2009. For almost 10 years, Mana has educated, engaged and made lifelong friendships with Kauaʻi visitors. He is a lead tour guide and, with at least 12 generations of Kaua‘i ancestry, shares Hawaiian history with accuracy and passion. 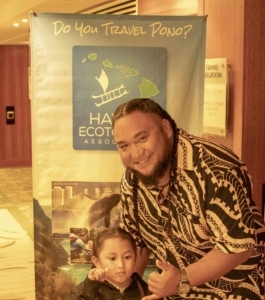 Most recently, in June 2018, Mana earned his Professional Tour Guide Certification from Hawaii Tourism Authority. 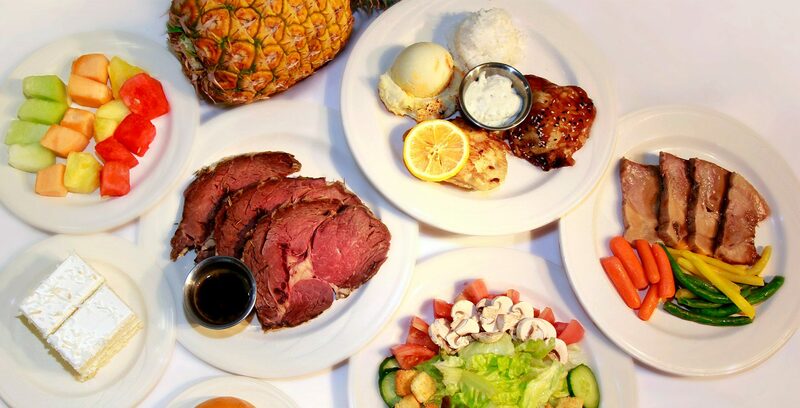 The genuine aloha that Mana has for his guests goes beyond a tour guide’s daily routine. He shares aloha in such a way, that his aloha extends to guest’s friends and families without even having to meet him. For example, Mana hosted 2 guests from the Mainland whose granddaughter was terminally ill. They shared with Mana about their granddaughter’s love for the movie Moana and asked Mana if he would pretend to be Maui on a video message for their granddaughter. This video message turned out to be the last video she watched before she passed. A year later the couple returned and shared with Mana the importance of the video for their family. Kevin has spent much of his life in Kane‘ohe and joined with Kama’aina Kids in 2014 as an unpaid intern at He’eia State Park while pursuing his degree in Natural Resource Environmental Management. At the end of his internship, Kevin accepted a full-time position with Kama’aina Kids as a park caretaker at He’eia State Park and guiding Kama’aina Kids’ various ocean activities. 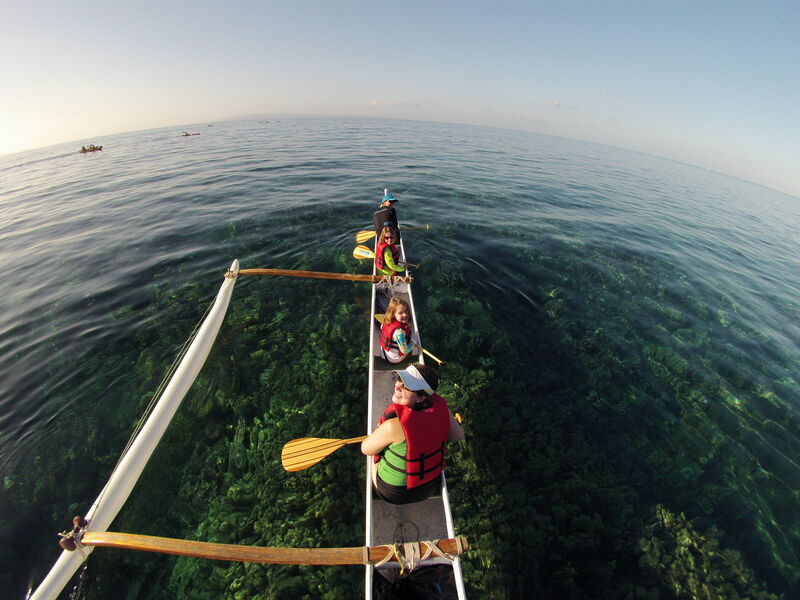 He is now the most senior and most experienced ocean eco-tour guide with Kama’aina Kids at He’eia State Park and leads guests on educational kayak, sailing, and snorkeling eco-adventures. He has been an instructor and leader of several boating and ocean safety classes that Kama’aina Kids offers free of charge to local youth, as well as Kama’aina Kids summer day camp waterfront program. 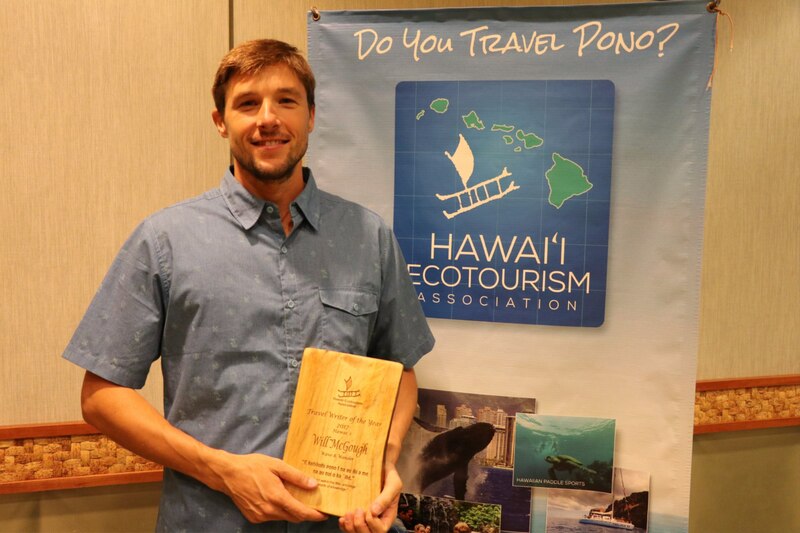 This year Kevin helped free a large hammerhead shark that had become stuck on a fringing reef during low tide and assisted in recovering a monk seal that had died and had been reported in the bay. Kevin is known for his attention to his guests, commitment to stewardship. Professional sea kayak guide and stand up paddle instructor Kaiulani Manuwai Oiph comes from a long line of Kailua watermen. One of Kailua Sailboard and Kayaks’s most experienced guides, Kaiulani, exhibits experienced guides, Kaiulani, exhibits lifelong local knowledge about her special home in Kailua. She has been described as a powerhouse with the finesse of a mermaid in the confident way she deals with the physical challenges of leading up to 8 customers safely to their destinations, providing expert interpretation of Hawaii’s natural resources and special places. She exhibits great group management skills and customers feel safe with this confident young lady. 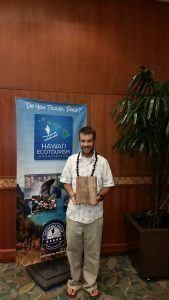 Jason Lee from Hawaiian Paddle Sports was awarded the Ecotour Guide of the Year 2014 for Maui because he demonstrates a remarkable ability to effectively and accurately interpret the marine world. Jason offers authentic cultural experiences which leave guests with a desire to conserve Hawaii’s natural resources through sustainable ecotourism. Jason has always had a passion for the marine world and as an ecotour guide, shares that passion and knowledge with people every day. 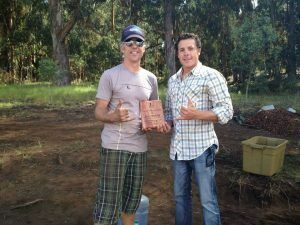 Jason is a stellar example of the Hawaiian Paddle Sports motto “e malama ke kai” (to care for the ocean). He educates Hawaiian Paddle Sports guests on the importance of using biodegradable reef safe sunblock, using reusable stainless steel water bottles over single use plastic bottles, not touching or disturbing marine life underwater, cleaning up trash from the beaches/ocean and giving back to the community. Volcano Discovery Hawaii’s professional guide Erik Storm is a graduate in Hawaiian Studies from the University of Hawaii- Manoa. 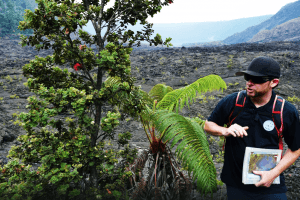 His tours are primarily focused on Kilauea Volcano, and he leads his guests through this amazing rainforest landscape with limitless passion by weaving together a fascinating tale about the geology, the native flora and fauna, and the plethora of information about Hawaiian culture associated with the volcano. As a result, Erik has received glowing reviews on Trip Advisor. Erik also spearheads the voluntourism program his company does in conjunction with Hawaii Volcanoes National Park; leading those guests in removal of invasive Kahili Ginger and Miraca Faya to help restore and protect the native rainforests in Kilauea. Erik is also active in helping to track, capture and remove the invasive Coqui Frog in Volcano Village. 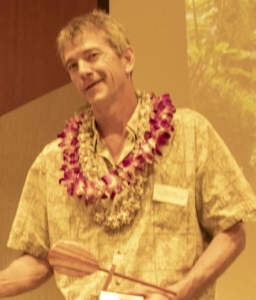 Andy Carre, a professional sea kayak eco-tour guide since 2008 and the Kailua Sailboards and Kayaks Guide Program Supervisor since 2010. He has a proven record of safety and sustainability, with a strong dedication to preserving the natural resources. Passionate about sharing his knowledge of environmental issues with our zipline guests, he actually “walks the talk” – Joe has literally planted hundreds,if not thousands of native trees himself, many on the property of Skyline’s Haleakala course…Joe also works as Skyline’s Outreach Coordinator and regularly takes out local youth groups, working with them to cleanup the land and plant trees around Maui, rewarding them with a zipline tour after their hard work. Arthur’s goal is a zero-waste operation where our tours don’t contribute anything to island landfills. Certified in permaculture with a focus on ethical stewardship of the land, Arthur has spent countless hours digging out invasive species like ginger and faya from Hawaii Volcanoes National Park and its surrounding communities, going as far as growing and out-planting native flora from seed to help rainforest restoration. Travel writers can be the traveler’s best friend when planning a visit to Hawaii. Their articles in travel sections of newspapers, or in in-flight magazines or books, can lead you to unexpected and delightful surprises. 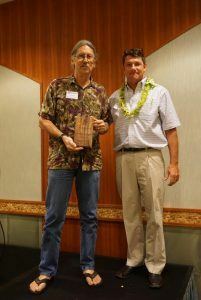 The Hawaii Ecotourism Association honors travel writers each year with the Travel Writer of the Year award. This award goes to a writer who shares the values of ecotourism with readers through newspaper or magazine articles on personal travel experiences or in guidebooks. HEA’s travel writer of the year is Will McGough. 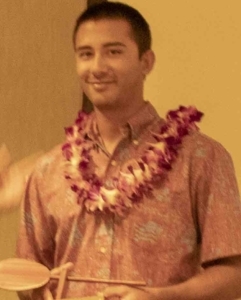 He is based in Waimanalo and publishes Wake and Wander Hawai‘i, Hawai‘i Started in October 2016, the free monthly newspaper is found at 70 locations on Oahu and expanded to Maui, Kauai, and the Big Island. Will uses narrative-based storytelling to inspire deeper, immersive travel so locals and visitors can explore Hawai‘i with a sense of understanding, appreciation, and respect. 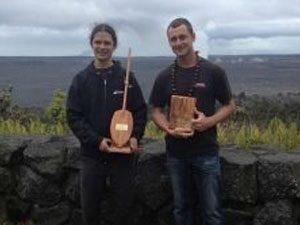 Will works with a cultural ambassador, Maui’s Kainoa Horcajo, to ensure sensitivity and promote cultural awareness. Will has been a guest travel expert on Hawai‘i News Now, KHON, KITV, and Tech Talk Hawai‘i. He is a former assistant editor at Conde Nast and his travel-related contributions have appeared in Conde Nast Traveler, AFAR, Travel Channel, Outside Magazine, Forbes Travel Guide, Men’s Journal, AAA, TravelAge West, Travel Weekly, Paste Magazine, Alaska Airlines Magazine, Elevation Outdoors, the Brewer's Association, and Sherman’s Travel, among many others. He writes regularly for Frolic Hawai‘i. Shannon is an independent writer and editor based on the island of Maui. She covers travel, science, culture, and food for publications including BBC Travel, Smithsonian.com, Honolulu Magazine, Hana Hou! (the Hawaiian Airlines Magazine) and Spirituality & Health. Having traveled to 65 countries, in addition to 49 U.S. states, Kyle still considers Upcountry, Maui to be the most beautiful place in the world. His love for the islands has been featured in publications such as Journey, Maui No Ka ‘Oi, and Escape. 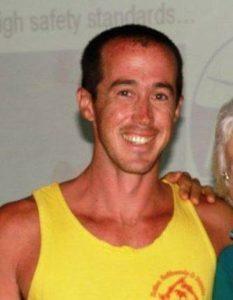 Kyle also authored the Moon guidebook to Maui, Moloka‘i, and Lana‘i. Paul Wood of Maui, Freelance, has been featured recently in Hana Hou magazine among others, based topics for local and Mainland magazines. He prefers to write about wild creatures and places, also about the peculiarities that make Hawai‘i a much more interesting community than the “paradise” evoked by the clichés of tourism. In 2001 Fodor’s/Random House published his Escape to the Hawaiian Islands, which was a finalist for a Lowell Thomas Award. A native of Kauai, Jocelyn Fujii grew up with an innate appreciation of nature, the environment and the importance of neighborhoods and communities in island life. Her articles on Hawaii have appeared in major local, national and international publications, and her more than a dozen books have covered topics ranging from lifestyle and the arts to natural history, the environment and small family businesses. She believes that Hawaii’s greatest assets are its cultural and environmental treasures. In 2010, Rita Ariyoshi was honored by the Hawaii Ecotourism Association as the Travel Write of the Year 2010. Rita has been one of the leading travel writers whose perspective in journalism is mindful and respectful of Hawaii’s natural environment and cultures. Her articles present valuable information to our readers about ecotourism. 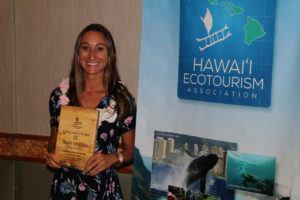 Joan was honored by the Hawaii Ecotourism Association as its 2009 Travel Writer of the Year. Joan lives on the island of Kauai and writes about a variety of topics ranging from wildlife through nature and local pursuits. In the 21 years she’s lived on the island of Kauai, Joan Conrow has never once gotten a case of rock fever. But she’s definitely learned to slow down and enjoy the marvels of nature, an approach that’s conducive to observing the birds, whales, turtles, monk seals and other resident and migratory wildlife that call Hawaii home. When she isn’t outside looking or gardening, she’s at her desk writing articles for a variety of regional and national publications, while keeping up with her personal blog. Follow her on http://kauaieclectic.blogspot.com/. 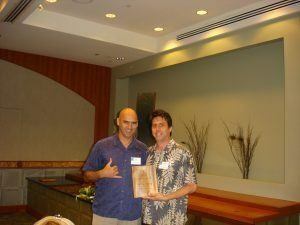 In May of 2008 the Hawaii Ecotourism Association honored Lynn Cook as Travel Writer for the Year 2008. A writer for numerous travel and other publications, Lynn Cook has kept visitors and residents informed about a myriad of topics describing Hawaiian culture and natural sites. Michael Shapiro won the Travel Writer of the Year award in 2007. 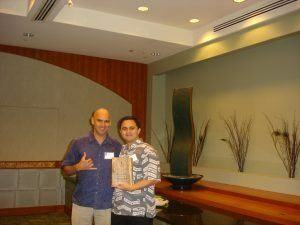 Since that time, he has become the Editor for Hana Hou magazine, which is the in-flight magazine for Hawaiian Airlines. Michael is one of our favorites because he writes about subjects that local people want to know more about when they travel to another island for a vacation. Cheryl writes a weekly column for the Sunday edition of the Honolulu Star Advertiserentitled Hawaii’s Back Yard where she features exciting and fascinating tours from many of Hawaii Ecotourism Association members, as well as festivals and various visitor attractions for the local resident as well as visitors. To find these great columns you will have to click on Back Issues, S for Sunday, then on the right side of the page under Columns, look for Hawaii’s Back Yard. You will only find Hawaii’s Back Yard in the Sunday Edition. Click there and be delighted. Cheryl was Hawaii Ecotourism Association’s Travel Writer of the Year for 2006. Michele is a freelance writer currently based in Washington who advocated for sustainable travel and ecotourism early on. She was awarded the 2004 Travel Writer of the Year award for her numerous articles on Hawaii’s unique cultures. This author has a comprehensive guide book Travel Unlimited and an excellent web magazine, Travel With A Challenge where you can browse for hours learning about wonderful travel adventures all over the world. After you click on the link, you will be taken to the Number One page in the Travel Themes section where there are numerous articles on Hawaii’s many and varied offerings.